TODAY aired an exclusive sneak peek of the Hollywood adaptation of John Green's bestselling young-adult novel about cancer-stricken teens, "The Fault in Our Stars," on Wednesday. And based on the instantaneous reaction on Twitter, the movie is set to become the blockbuster tearjerker of the year. 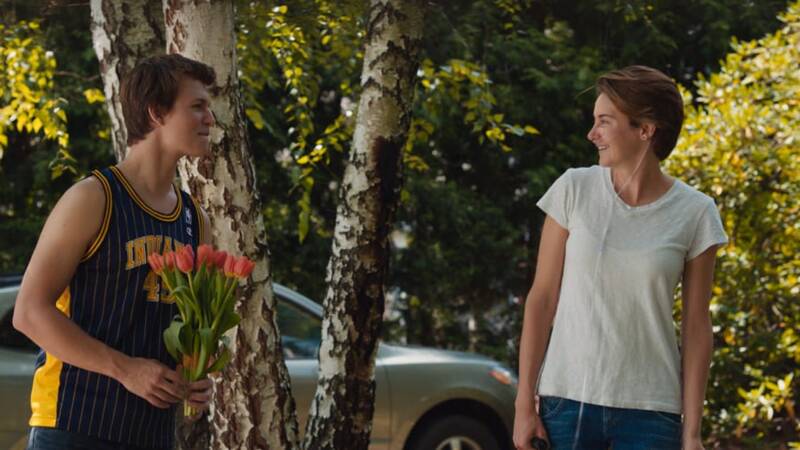 The teaser features stars Shailene Woodley and Ansel Elgort as Hazel and August, two teens negotiating tricky romantic waters in the face of their illnesses. After the clip ended, TODAY's Natalie Morales noted her affection for the book, which prompted Green to post his thanks. Green had already alerted his fans about TODAY's sneak peek, so even though the movie's target audience was supposed to be in school, a combination of helpful teachers and snow days meant many of them were poised to watch as it aired, then go bananas minutes later. "The Fault in Our Stars" opens in theaters on June 6 ... clearly not soon enough for fans.